Cast of (or possibly model for?) a grotesque head, plaster. This is thought to be an early 19th century Gothic revival head, perhaps for one of Soane's own Gothic schemes. You are here: CollectionsOnline / Cast of (or possibly model for?) a grotesque head, plaster. 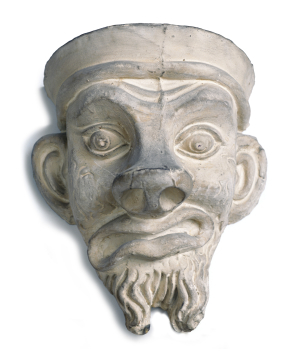 This is thought to be an early 19th century Gothic revival head, perhaps for one of Soane's own Gothic schemes.